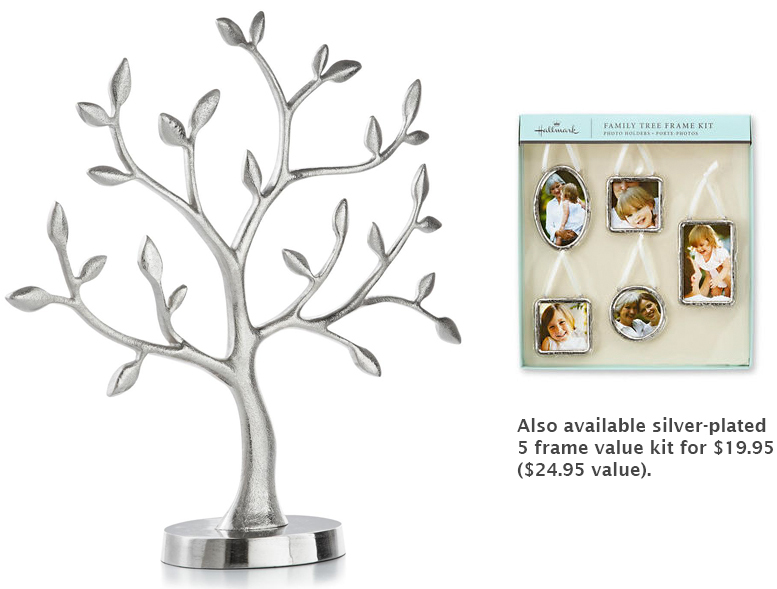 Start your collection of Family Tree frames with this Snowflake Starter Kit. 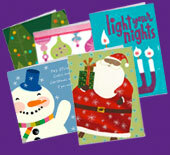 Each kit includes 1 rectangular frame with a ‘2013’ dated mat and 2 silver snowflake frames. Frames hang from a festive red satin ribbon. 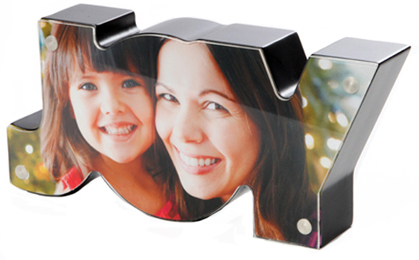 Perfect for showcasing unforgettable family memories. just show this coupon on your smartphone. Fill up the branches with snapshots of your entire family, your friends, pets and all your loved ones. Let Hallmark and Shutterfly help take your special moments and easily create a one-of-a-kind gift you can't find anywhere else. Personalize your gift at home on Shutterfly.com. Your design ships for free and usually arrives in 5-7 business days as a high-quality print. Each frame in the One-of-a-Kind Creations line includes a code on the packaging. Just visit Shutterfly.com and use your unique code to customize the template that fits your frame. Once you're done, Shutterfly will mail your pre-cut insert directly to you for your frame. 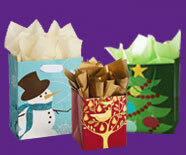 All items available at participating Hallmark Gold Crown retailers across Canada excluding quebec. Not a Hallmark Rewards member? Click here to learn more and sign up now. **Buy any Family Tree Base (bases priced $49.95 & up) and receive a free Holiday Frame Set (1FTF6004) from 12/6/13-12/12/13 while supplies last at participating Hallmark Gold Crown stores in Canada, excluding Quebec. Retailer has the right to limit quantities. Sales receipt must accompany any returns. Returns subject to adjustment. *** Must purchase “Ultimate Gift Bear” and the card in the same transaction. Retailer has the right to limit quantities.